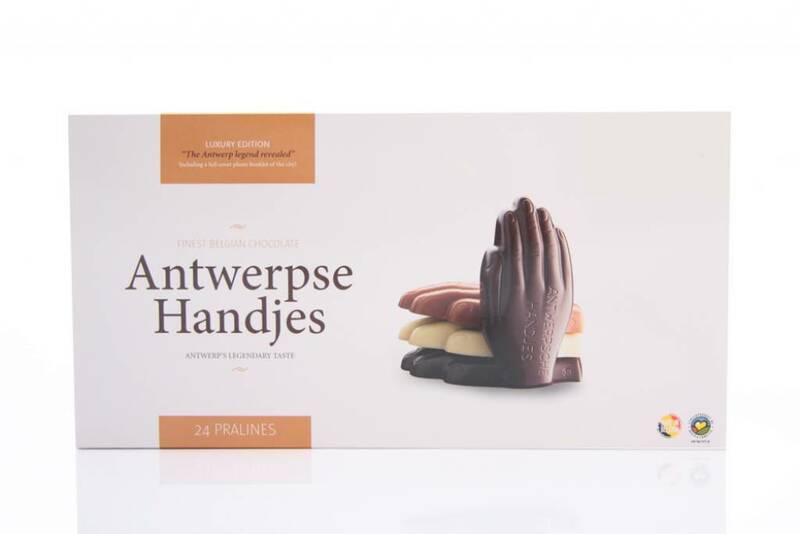 This luxury box contains 24 hands made of real Belgian chocolate. The hands made of milk (8 pcs.) 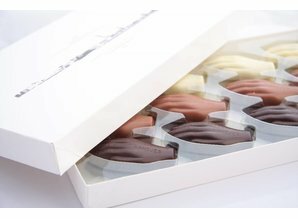 and dark (8 pcs.) chocolate contain a delicious filling of marzipan with a hint of Elixir d'Anvers. 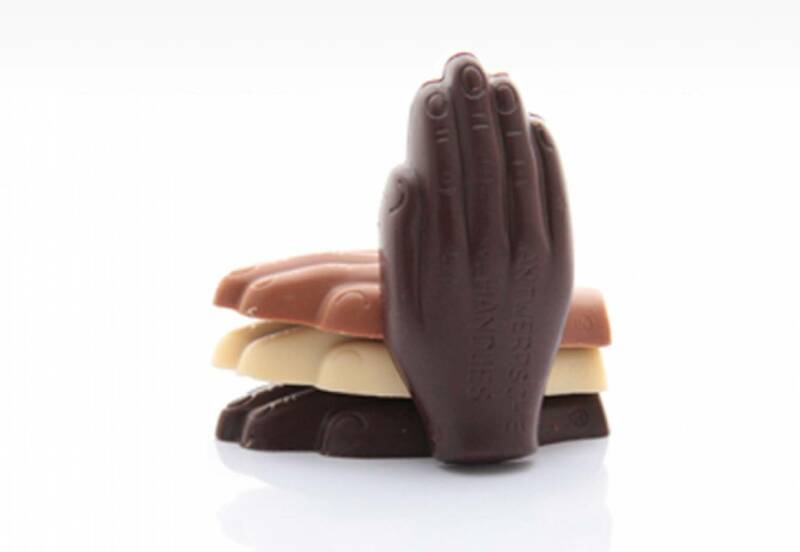 The white chocolate hands (8 pieces) are filled with a creamy hazelnut praline.